Firstly - Sleek Contour Palette (Light) - This is such a beautiful palette and is great for starting your contour and highlighting skills. 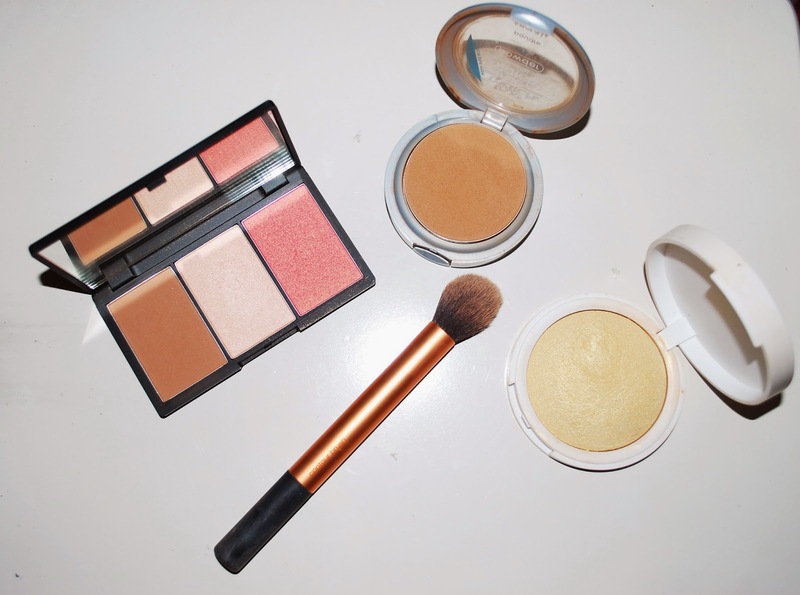 It has everything you need, bronzer, blush and highlighter and they are all lovely shades. I got the light palette, which is a medium toned palette and is really natural and easy to use, definitely been a drugstore favourite the past couple of months. 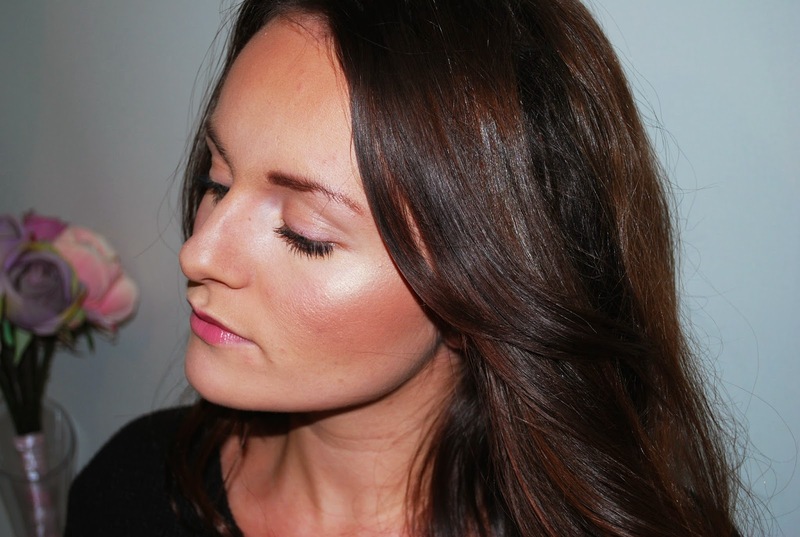 Topshop Highlighting Powder (Sunbeam) - I know this isn't really one you can get in a drugstore, but it is so affordable and lasts such a longtime, so I thought it was only right I include it in this post. It is the most lovely golden shade and I use it as a highlight on the cheekbones or even as a eyeshadow or brow highlight! It has a great pigment so a little goes a long way, I use this often and it looks as good as new, even after months of use! Lovely with a tan or if you want a strong highlight! Real Techniques Contour Brush - I got this brush in the Core Collection brush set and it is perfect! It's a nice tapered brush which is perfect for precision, especially if you want to contour the nose or create really defined cheekbones. 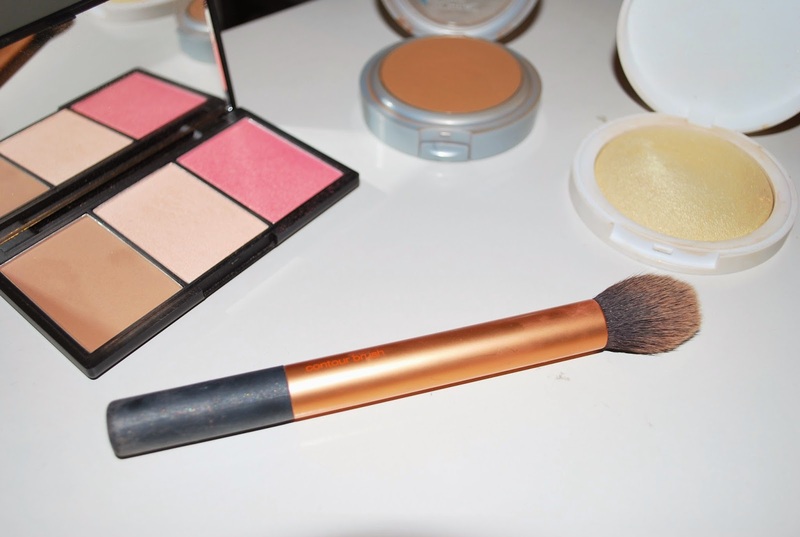 Juts use a powder or blending brush to get rid of those harsh lines and your good to go! 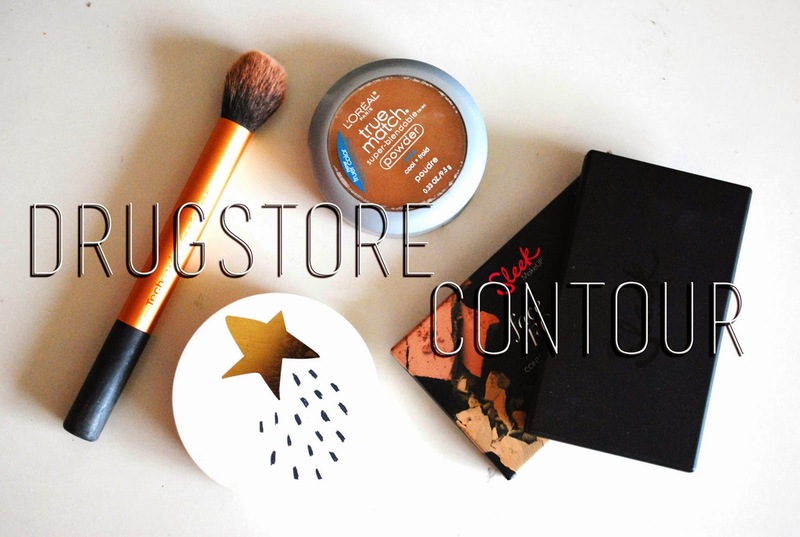 I have been wanting to pick up the Sleek contouring palette for ages, it seems so good!